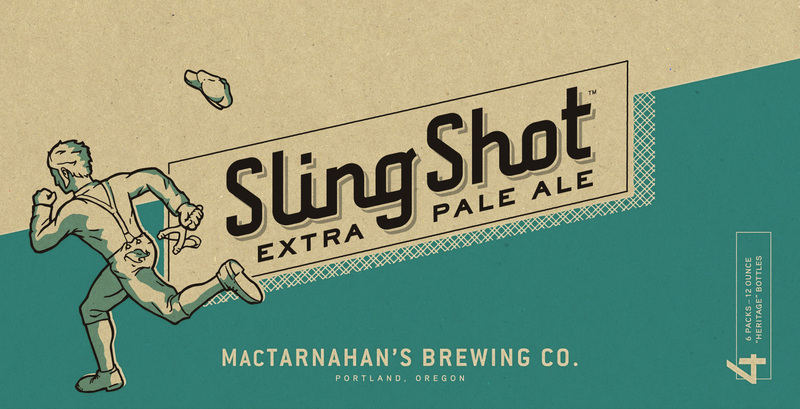 Sling Shot Extra Pale Ale is a seasonal summer beer by MacTarnahan’s Brewing Co. A character dashes by, hinting at a backstory that involves mischief and lots of it. 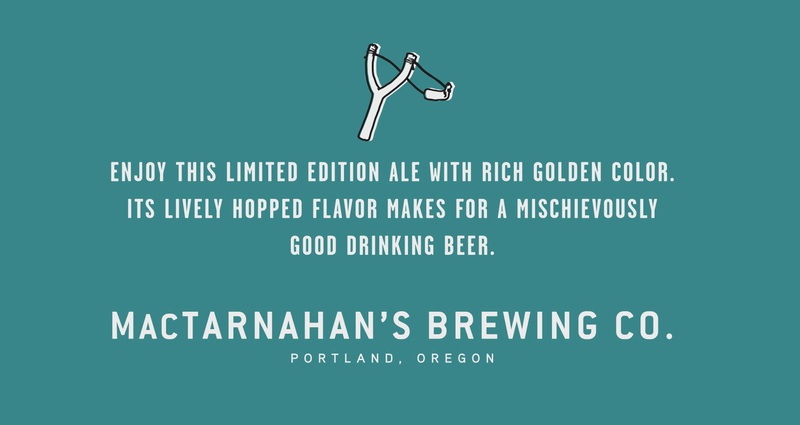 Cool and hot colors recall the dry, dusty heat of summer that relents to a refreshing breeze as the evening wanes. 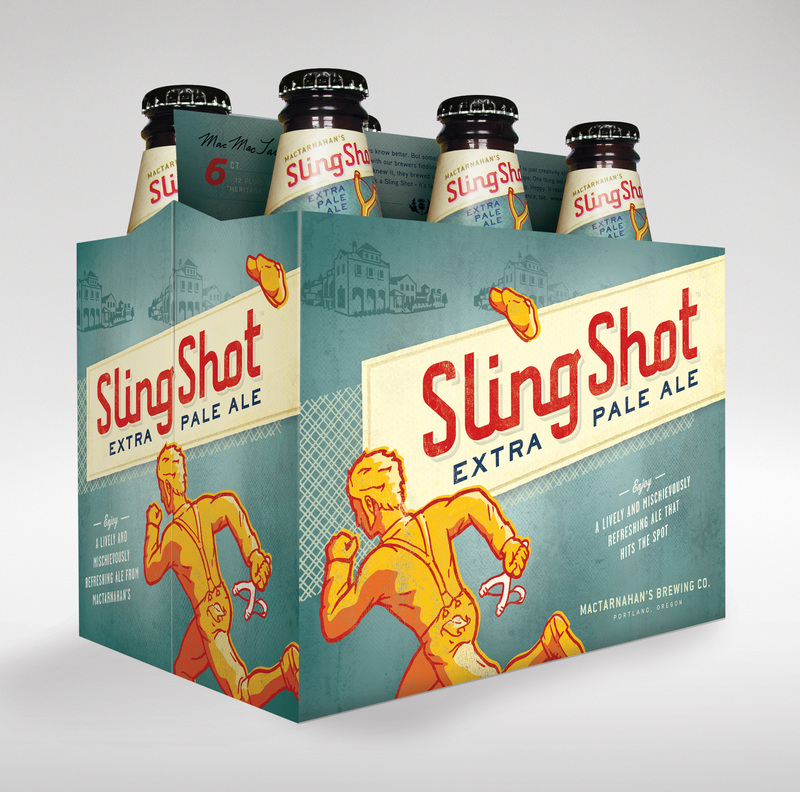 Strong references to their current packaging created a strong presence on shelf while allowing the individual elements to this beer to shine. 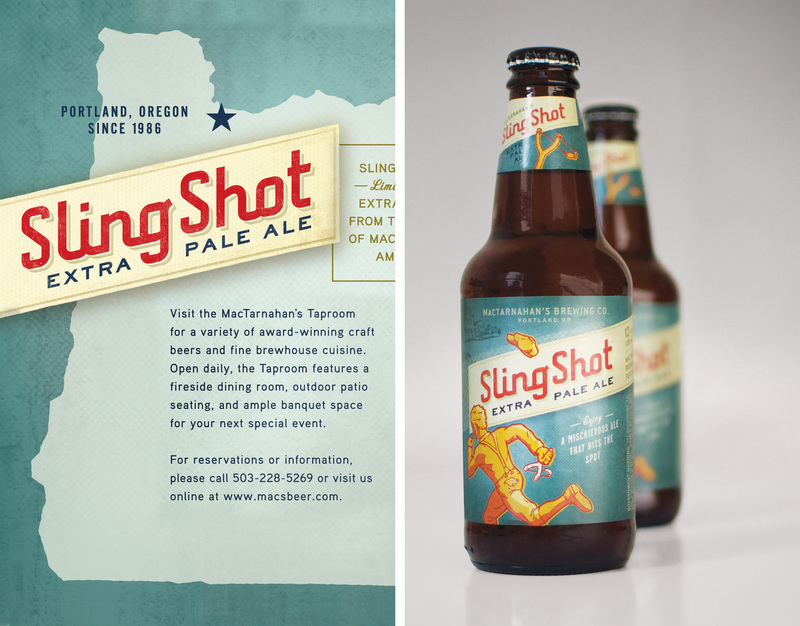 Custom typography and illustration create a fully integrated feel to this working man’s beer.